As a no-fault divorce state, Michigan grants your request for a divorce without the need to prove fault. The only required grounds for divorce that you must prove in your complaint is a breakdown of your marriage, beyond repair. If you and your spouse agree to a marital settlement agreement, the court does not raise the issue of fault. However, if you and your spouse fail to reach an agreement on property division or spousal support, the court uses fault as a determining factor to resolve those issue. Verify that you meet the residency requirements to file in Michigan. You or your spouse must be a resident in the state for at least six months before you file for divorce. Choose the appropriate county to file your divorce papers in, to determine exactly which court documents you need to complete. You can file in the county where you or your spouse lives, based on a minimum of ten days as a county resident. File your divorce complaint and a summons at the appropriate county courthouse. The required forms vary based the type of divorce, such as a contested divorce with or without children or an uncontested divorce with or without children. State your grounds for divorce in the complaint. Serve your spouse the divorce papers through certified mail or personal service, by a sheriff or other authorized person. Include a copy of the divorce complaint, the summons to appear in court and a blank answer form. Proceed with the divorce based on your spouse's answer. If your spouse answers you complaint, your divorce proceeds as a contested divorce. If your spouse fails to answer your complaint, your divorce proceeds as an uncontested divorce. You can request a default judgment if your spouse fails to file an answer or to appear in court. File a marital settlement agreement, if you and your spouse agree to settle property distribution, marital debt and other pertinent issues out-of-court. If you fail to reach a settlement, the court determines a fair distribution of marital property and debt. 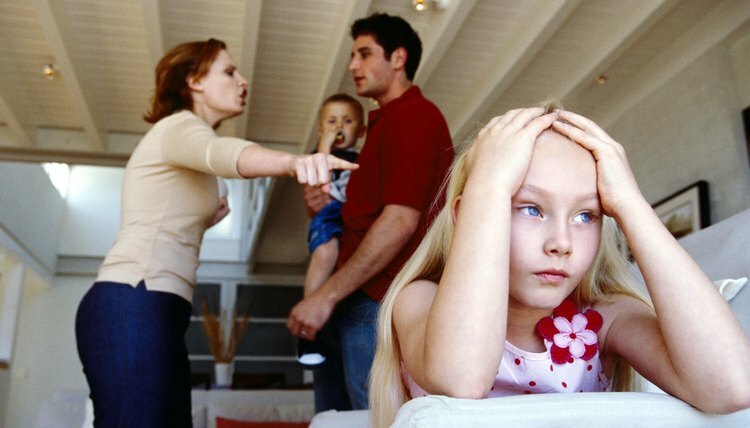 Meet with a Friend of the Court or a mediator to negotiate parenting-time, child custody and child support. The court awards child custody based on the best interest of the child. It determines child support based on the Michigan's Child Support Formula. Complete the waiting period of at least two months for a divorce without children, or at least six months for a divorce with children. Finalize your divorce, based on your negotiated agreement, mediated agreement or arbitrated agreement. Submit the agreement to the court for approval. Proceed to trial, if you cannot reach an agreement on all pertinent issues. At trial, the judge decides all unresolved issues and issues a final judgment of divorce. Pennsylvania doesn’t require you to hire a lawyer to get a divorce, and the state makes it relatively easy for you to handle your matter yourself. However, you might benefit from at least consulting with an attorney before you draw up a divorce agreement. Pennsylvania law does not allow courthouse staff to answer legal questions for you, so do your research ahead of time. What Kinds of Divorce Are There? Divorce cases include fault and no-fault divorces, contested and uncontested divorces, and summary dissolution and simplified divorces. The types of divorce cases vary from state to state, based on each state's divorce laws. For example, some states allow spouses to file for an uncontested divorce together, with a joint petition and settlement agreement; while other states do not allow joint petition divorces at all. Most states encourage uncontested divorces to proceed as collaborative divorces, mediated divorces or arbitrated divorces.